Kimberling Creek Wilderness, located about 20 miles west of Wytheville, Virginia in Bland County was established in 1984. One of Virginia’s oldest wilderness areas, Kimberling Creek has the added distinction of having acquired the newest wilderness addition in the United States. On March 9, 2014, a parcel of 349 acres was added to Kimberling Creek bring its total to 6,154 acres. 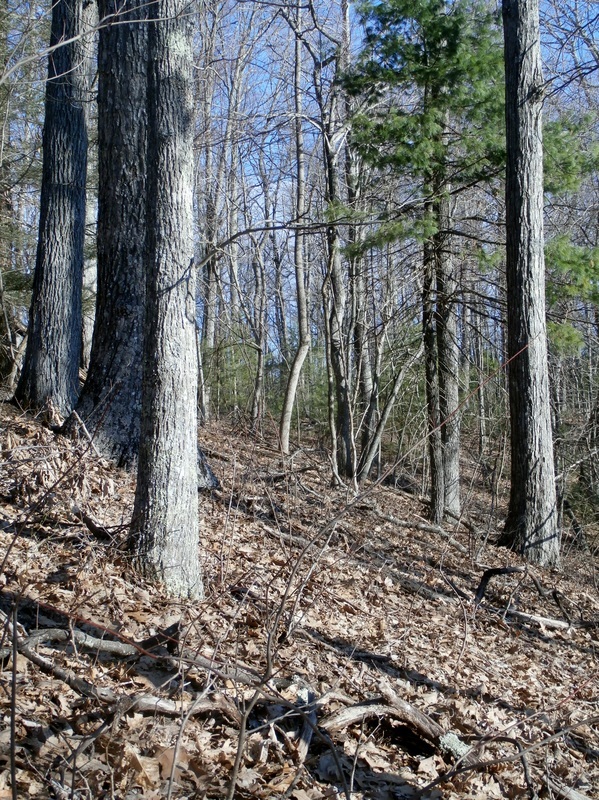 Kimberling Creek Wilderness is about as rough and rugged a place one can find in Virginia. Located on the southeastern slope of Hogback Ridge, it reaches an elevation of just over 3300 feet. The North Fork of Kimberling Creek separates Hogback from a small outlier to the east. These two ridges are deeply incised by many small feeder streams. The North Fork marks it beginning with a small spring box near the summit of Hogback and begins an easy decent to the wilderness boundary. No fewer than ten small tributaries increase the flow from a trickle to a river over the course of 3.6 miles. Wolfpen Branch, another major tributary of Kimberling Creek, has its headwaters in the new addition and drains the most northeasterly portion of Kimberling Creek Wilderness. Sulphur Springs Fork drains the southeastern section of the wilderness. Kimberling Spring, a small spring along the wilderness boundary feeds Sulphur Springs. Fork. 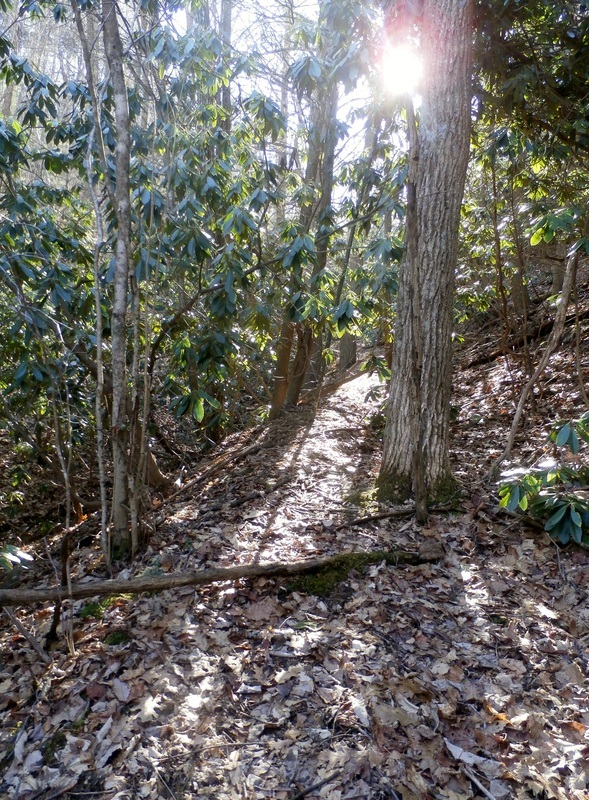 One unique aspect of Kimberling Creek Wilderness is its network of old roads and narrow gauge railroad lines. 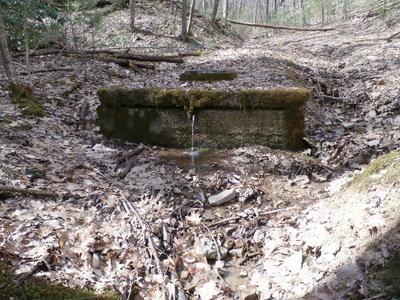 Almost every major stream and some of the feeder creeks show signs of these former passageways. Along the North Fork it is still possible to see steel rails, cross ties, and the small bridge abutments laid down at the turn of the 20th century. 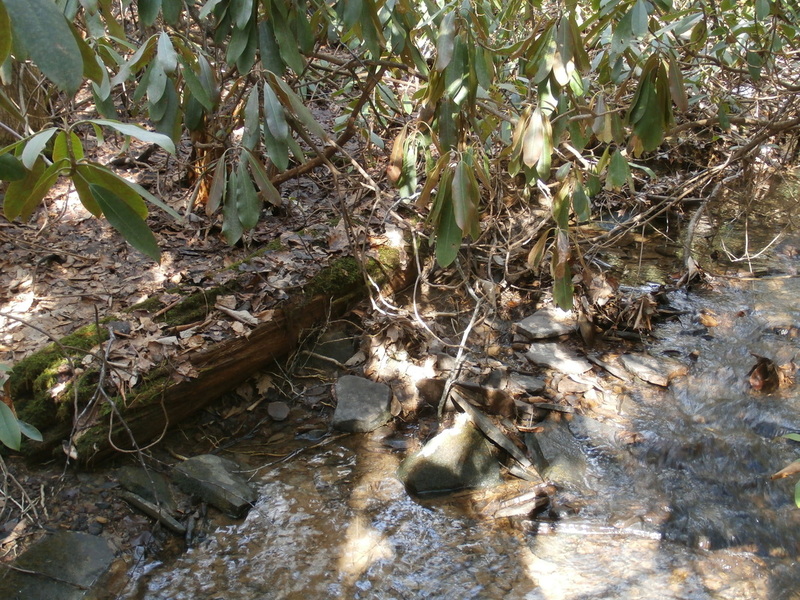 Because many of these old grades lie alongside stream beds, they have become choked with rhododendron and in many instances are nearly impossible to follow. These old pathways were once used to bring out timber for mills and kilns in the area. The many large stumps, still visible today, serve as a reminder of nature’s unique ability to revert to a more natural states and the need to protect areas like Kimberling Creek for future generations. In the numerous protected coves, White Oak, Tulip Poplar, Frazier Magnolia and Yellow Birch can be found in abundance. The understory is dominated by rhododendron. The ridge crest of the outlier is composed of oak and hickory, some of which have attained good size. There is also a significant stand of very mature second growth and old growth from the North Fork to the summit of Hogback Ridge. 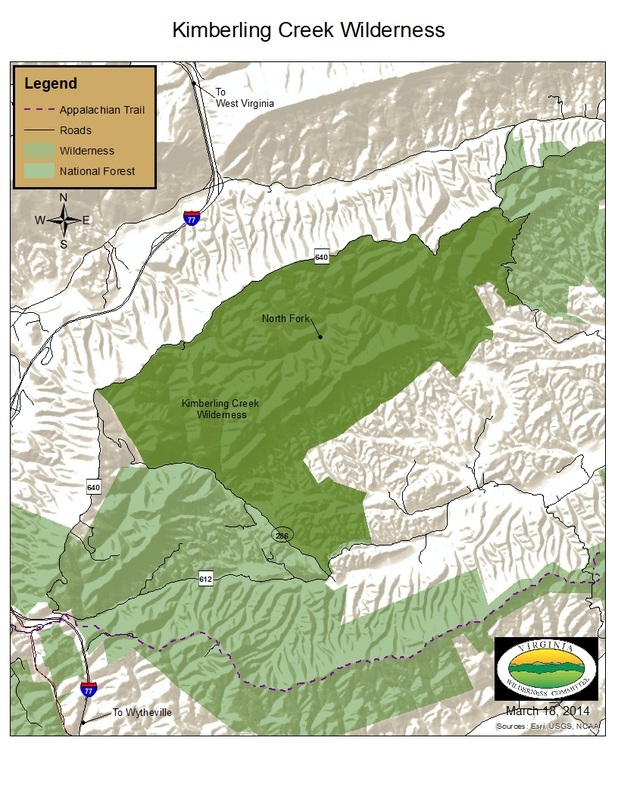 There are no established trails in the Kimberling Creek Wilderness. A journey into the interior should be done only be experienced hikers with knowledge of map reading and compass skills. However, it should be noted that a hike along the North Fork while difficult, is a remarkable experience.